We develop and produce tailor-made Dei®Tech Masterbatches according to color samples by using a sample part and the relevant color fan, such as RAL, Pantone, HKS, or NCS. Our Masterbatches are adapted individually to the polymer of the customer. We provide Masterbatches based on PE, PP, PA, ABS, SAN, EVA, etc..
Our Dei®Tech tailor-made Masterbatches can also be provided as combination batches as needed, e.g. with UV protection, laser additives, etc..
For quickest delivery, we developed our Dei®Base Masterbatches. This range consists of 50 all-purpose shades that are immediately available ex stock. A list of these Masterbatches with specifications of their technical properties can be downloaded from the link at the side. 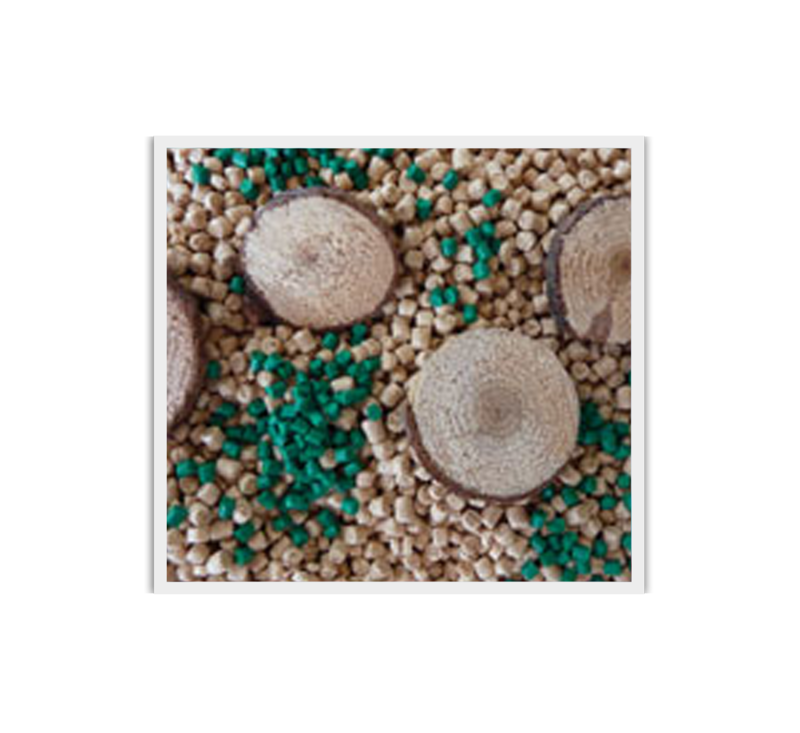 For the dyeing of bioplastics, we develop tailor-made Masterbatches and pigment preparations that are adapted individually to the biomaterial of our customers. We provide suitable Masterbatches for bioplastics made from renewable raw materials (e.g. 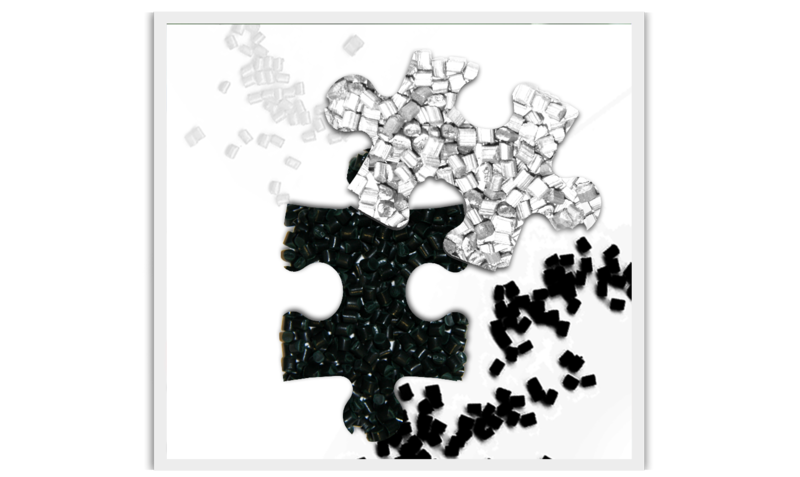 bio-based PE, PVC, PA), and for biodegradable and compostable plastics (e.g. PLA, PBS, PHA). 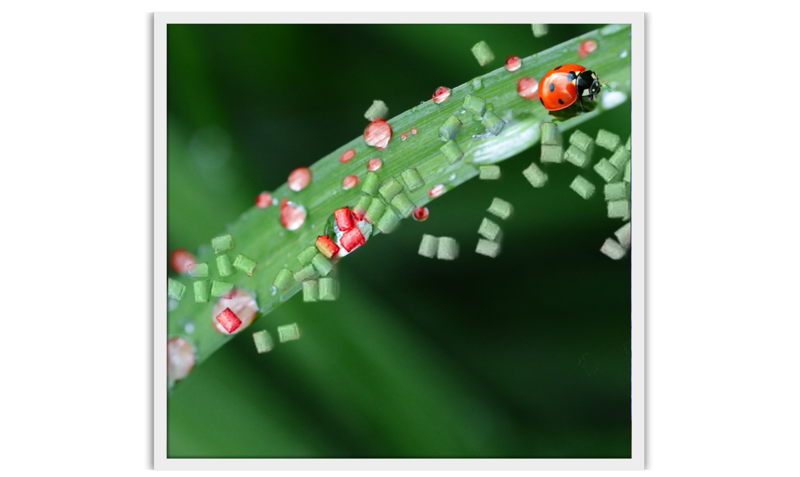 The criteria described in DIN EN 13432 regarding biodegradability can be taken into consideration and complied with as needed. For use with wood plastic composites, we provide tailor-made Masterbatches and pigment preparations, which are adapted to the base material of the raw WPC material of our customers and are provided with additional UV protection as needed. Color precision: Due to the multitude of different WPC materials available and the variation between them, as a general rule with color development, only one shade can be initially reproduced. The final color impression can only be judged on the finished product after the first tests have been carried out on-site at the facilities of the WPC-producer according to their specific operating conditions. In addition the classic shades of brown and grey, which are used for decking, more intense colors such as red, blue, green and yellow, for example, can also be used. In combination with the dyes, additives are also added here to influence the technical properties of the polymers. For example, we have developed Dei®Komb Masterbatches with antistatics, optical brighteners, UV stabilizers, laser additives and dispersion agents for our customers. 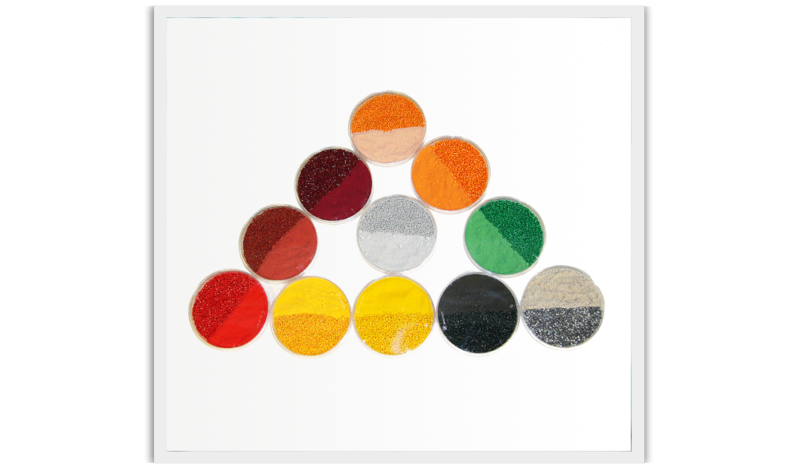 These Masterbatches are used for special color effects, such as translucent, transparent, pearlescent, metallic, glitter and interferences and for further new and unique color nuances. 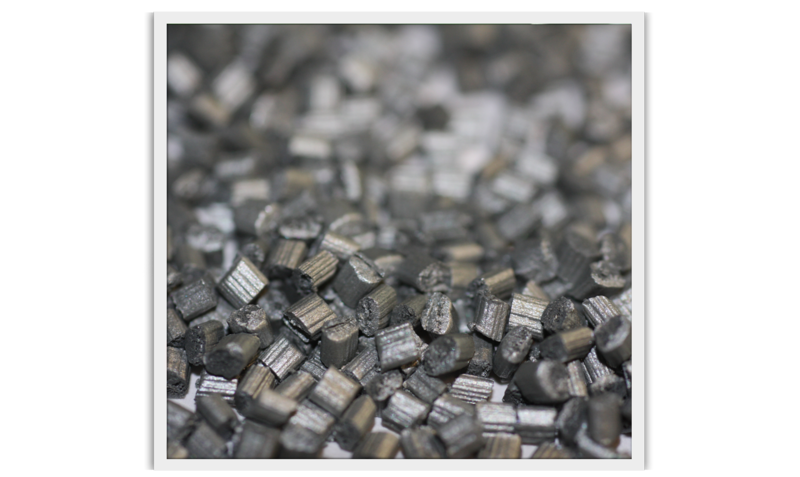 Black and white Masterbatches based on PE, PP, PA, ABS, PS, and EVA for different applications. Immediately available ex stock from 1kg. The color samples displayed on the screen and the RAL numbers provided can only be considered as an approximate shade. In-house tests for the final assessment of the color according to your operating and production conditions are essential. The prices are subject to alteration and apply to 1kg net weight plus transport, including packaging. The information provided is based on the current status of knowledge and experience. Due to the abundance of possible effects in terms of the processing and use of our products, this does not exempt the processor from in-house tests and sampling.. A legally binding guarantee of certain properties or the eligibility for a specific purpose cannot be derived from the information that we provide. Existing laws and regulations must be observed by the recipient of our products at their own responsibility. We are under no obligation to update the information provided based on changed regulations and laws or new knowledge acquired. Remaining stock cannot be rejected or exchanged. The RAL numbers given are to be considered as an approximate shade. If the remaining stock is depleted, we cannot guarantee that the product can be provided in the same raw material composition in the future. This remaining stock is subject to alteration, errors and prior sale.